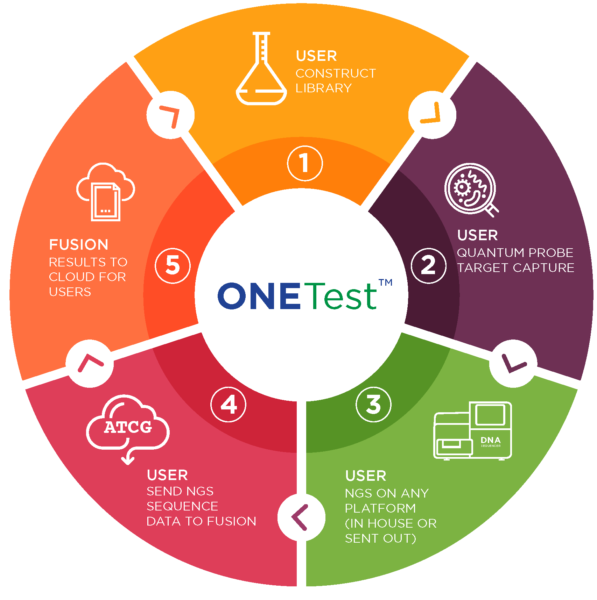 SAMPLE TO RESULTS IN 12 HRS | Fusion Genomics Corp.
FUSION GENOMICS ONETest™ platform offers a complete 12 hours “Benchtop to Desktop” solution for next generation sequencing based diagnostic testing of infectious diseases. The ONETest™ platform comprises our patent pending and proprietary UNIPrep™, QUANTUMProbes™ and the FUSIONCloud™ with 1000X the sensitivity over PCR and up to 9000X target enrichment over metagenome sequencing. The ONETest™ is able to identify any pathogen. This platform has been validated with institutes and organizations around the world.